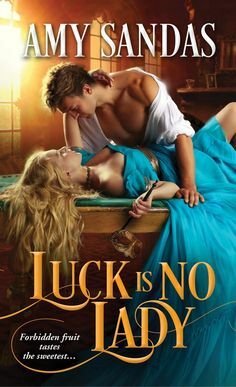 When COLIN MACALISTER is cursed by the Faerie Queen and ends up in the bed of a twenty-first-century woman—who also happens to be the most beautiful creature he’s ever laid eyes on—he’s torn between anger and lust. Colin is determined to see Scotland free of English control and must return to the fourteenth century, yet he cannot forget the woman who haunts his dreams and stirs him with scorching desire. ABIGAIL PORTER can’t believe her luck. After making a wish to find her soul mate, she wakes up to find a gorgeous man in her bed! Can he really be a medieval Highlander summoned by her Faerie Magic, however? It seems crazy, but when Abby discovers someone wants to enslave her because of her Faerie heritage, she agrees to flee with Colin to 1306 Scotland to avoid capture. Thwarting danger at every turn, Abby and Colin surrender to an irresistible passion. But is the magic of true love powerful enough to save them? Abigail Porter has a deep love and fascination with Archaeology and even though she hasn’t married or had a family yet she feels like she has her whole life ahead of her and is about to embark on a dig in Scotland which has always been a dream of hers…until one day she makes a wish and the next morning a man ends up in her bed and they share a passionate kiss which is only the beginning for Abigail and Colin. Colin is shocked to find himself 700 in the future and knows that the Fae are to blame. He is determined to return back to his time, and when there is a danger to Abigail they go back in time to his time period where it is more dangerous than ever…and only when they work together and their magic will they be able to save them both. Abigail, after receiving her degrees and making a start on her dream in Archaeology…Abigail has always wanted to work in Scotland where she feels a connection there and always has, as if its vital that she go there on the dig she is offered. Even though her boss creeps her out, and she keeps having run ins with the one man she keeps dreaming about, she wonders when she ends up in the past what is really going to happen in her future. “We are fated to be together. 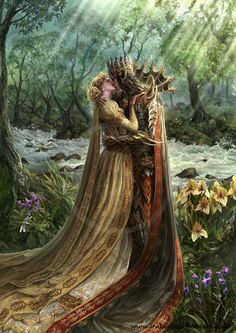 Together from the beginning of time until the end of time,” he whispered before losing himself in her kiss. The sensation of his kiss felt like the world dropped out from under them, and they fell, endlessly locked in each other’s arms. Abby could imagine no better way to go forth into forever.